Britania-the female warrior of great Britian on a stainless steele clip. This coin jewelry money clip can be made from your coin for $16. 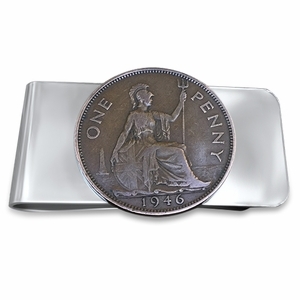 This handcrafted coin jewelry moneyclip is also made in the USA.